Veterans Guard Flashes real or fake? 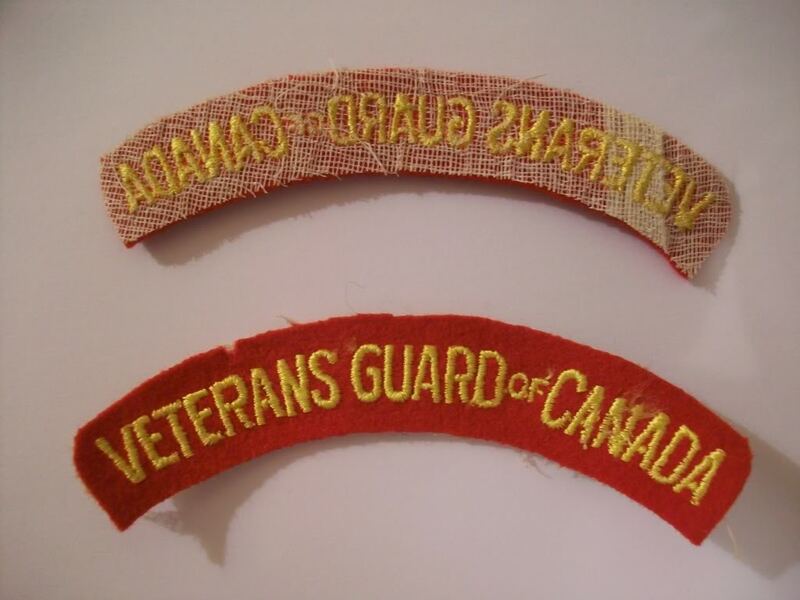 I just recently picked up this pair of Veterans Guard of Canada flashes for what i though was a pretty decent price. Can anyone tell me if there the real deal or repro? Re: Veterans Guard Flashes real or fake? Nothing wrong with these titles. Great, i was a little suspicious givin the price was only 10$. Looks like I finaly found one of those good deals everyone else seems to find. The Veterans' Guard was a large unit. At one point during the war the strength was in the thousands. Their titles are not scarce, but at $5 each, that was a fair deal. LMAO Lorne. It has been a long dry spell for me in finding something at a great price. But it does happen. I myself see nothing wrong with these titles, but honestly, my opinions on most titles is not to be taken as rightt most of the time. I usually err on the side of caution, but in this case, I see none of the signs I have come to associate with fake or reproduction titles.